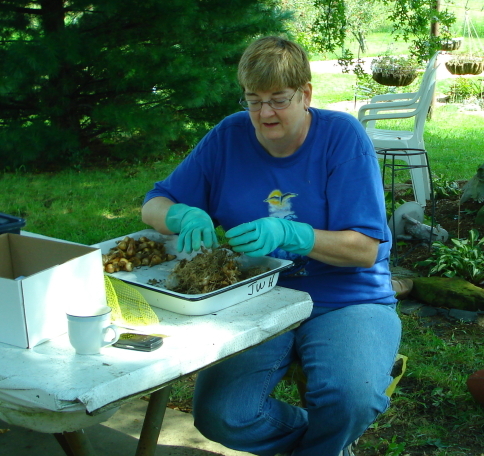 Beth is busy cleaning daffodil bulbs for the upcoming Sale and Exchange. 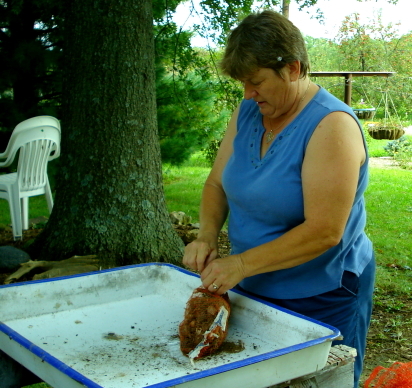 Cindy is opening one of the bag of bulbs for cleaning. 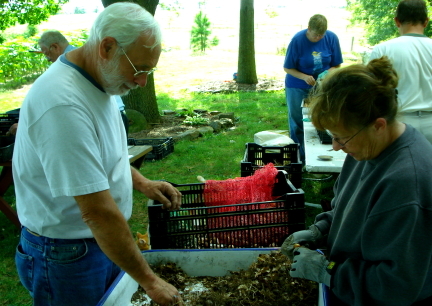 Peter and Jan are cleaning a huge bag of daffodil bulbs. 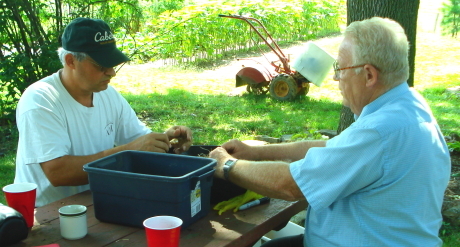 Joy and Gary are working hard cleaning bulbs for the Sale and Exchange.